IT ACTS IN THE INTEREST OF ITS MEMBERS IN THE PROMOTION AND COORDINATION OF THEIR ENTREPRENEURIAL ACTIVITIES IN ORDER TO FOSTER COLLABORATION AND SYNERGY AMONG COMPANIES IN THE YACHTING INDUSTRY. Managing and participating in projects and initiatives geared towards technology transfer and the dissemination of innovation through the strengthening of relationships between academia, research, and business. Acting as a point of reference for the development, promotion, and enhancement of Tuscan firms in the yachting industry, thus stimulating the development of networks between businesses for the exchange of knowledge and experience at the Tuscan level, at the national level, and beyond. Supporting firms in their collaboration with public institutions, NGOs, trade associations, trade unions, intermediary organizations, and any other relevant stakeholders. Development and management of integrated service packages for firms in the yachting industry. Studies and analyses of the yachting industry. Assistance and consulting in the areas of financial planning for regional, national, and community bidding projects, in compliance with all relevant regulations. 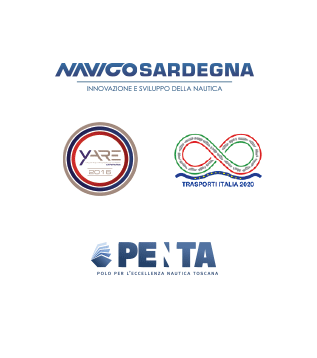 NAVIGO carries out activities aimed at the development of the Tuscan coastal area and the companies making up the yachting economy therein, including vocational training programs taught by accredited instructors seeking local talent.